What happened to the new surface to keep them from slipping out? Finally! My first Gen AirPods can be retired with honor. Uncounted running miles on them, hours at work, their microphones are shot and their batteries barely last 2 hours: they’ve been workhorses! $79 for the wireless charging case. Apple is effing crazy. I picked up a case at the local Apple reseller for $30. I could see paying more if it offered more and still the sound quality of the AirPods is fair to partly cloudy. But to each his or her own. Order placed (with wireless charger case)! I hope my jogger wife likes them. The leakers predicting every release this week have been right so far, so I think these are more of a minor Airpods 1 update and Airpods 2 proper are coming later? Ordered, figured what the hell and got the wireless case even tho I don’t have a charger for it. Just anticipating AirPower coming tomorrow and suddenly wanting it now that I’d have three wireless things I could toss on it. Was hoping for matte Space Grey to go with everything else I own but these’ll have to do. I guess they’ll match my Pencil 2? I'm curious what you bought. Do you have an Amazon link or something? I’m also re-reading the product page over and over because I’m not sure if it means they have any improved sound quality over the original, or just the latency is lower. 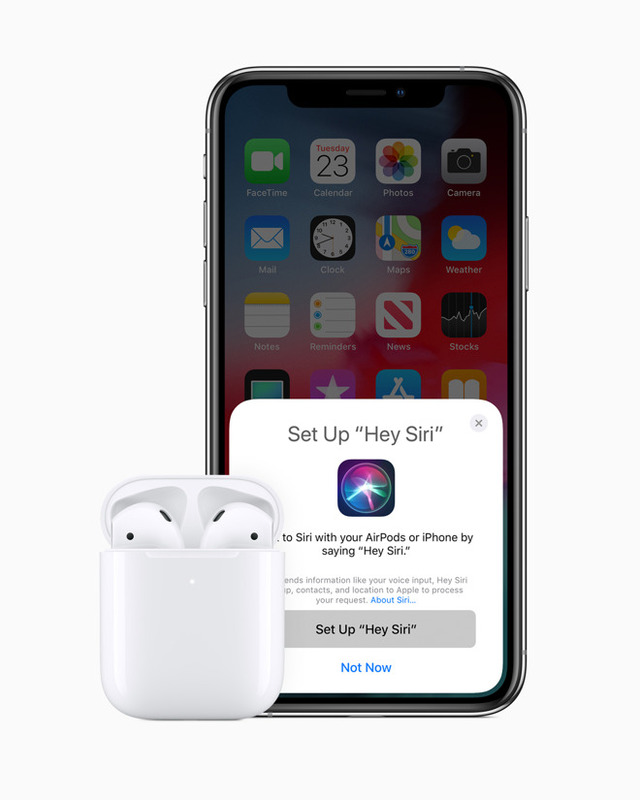 I think these are a 'speed bump' version of the Airpods 1, except speed = better wireless and hey siri, where the Airpods 2 with the new texture and other new features are coming later in the year? They are basically sleeves for the current AirPods case, ranging from $20-40. Most likely I’ll be selling my old airpods for around $100, and paying $100 to get longer battery life plus wireless charging plus hey Siri which will be great for the car. A much better deal than my first airpods purchase. Brilliant strategy leading up to WWDC. New releases every day is like Christmas, New Year and a Birthday party every day! Ah, okay, I've seen those. I was wondering if OP got an entire third-party charging case for that $30, because that would be new. $59 for the charging case + one of these doesn't make a lot of sense to me, but you're right, YMMV. Also, the new H1 chip, improved sync, faster switching and connecting of calls, "Hey, Siri", 50% longer talk time on calls (which seems like a huge improvement), etc, not sure why you're choosing to ignore a bunch of the new features. The extra $40 is pretty much only for the wireless charging case as you can get the new AirPods for the same price as the originals with the regular charging case, and $40 doesn't seem like that much to me. Much better than paying $79 for just the case. Speaking of that, any word on if the wireless charging case works with the original AirPods?